General Motors plans to invest $1 billion in U.S. factories and add thousands of new white-collar jobs, measures that have been in the works for years but announced Tuesday after criticism from President-elect Donald Trump. In all, the Detroit automaker said it will create or keep 7,000 jobs in the next few years, including about 2,000 at its factories. Another 5,000 new positions will be created at its auto financing arm and to develop advanced technology, electric and autonomous vehicles and information technology. The company wouldn't release details on where the jobs will go, saying that will be revealed during the year. But most of the new positions would be in Michigan, spokesman Patrick Morrissey said. The long-planned new white-collar jobs will come in the next two or three years. 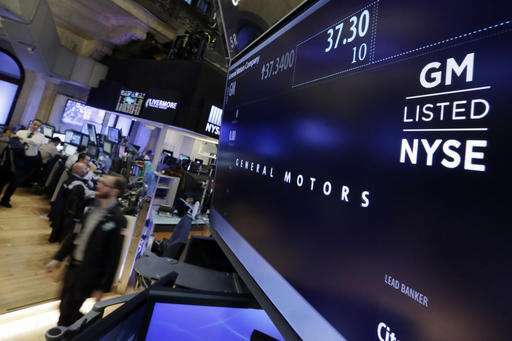 GM said the factory investment has been in the works for years and will create or keep around 1,500 jobs at unspecified factories. Included in that figure are 450 new pickup truck axle-making jobs that will be moved to Michigan from Mexico, a decision made well before the presidential election campaign, the company said. The company also confirmed that a supplier will make components for GM's next-generation full size pick-up trucks in Michigan, moving 100 supplier jobs from Mexico to the U.S.
GM emphasized that the jobs are good business decisions that have been under discussion for months or even years, but Morrissey said it was a good time to make the announcement. "There's no question there is an emphasis on job creation in the U.S. right now," he said. "This is good timing for us to share what we are doing, including our ongoing commitment and track record for U.S. investments over the last several years." Trump attacked GM and other automakers for building vehicles in Mexico and shipping them to the U.S. Earlier this month, he threatened on Twitter to tax GM for importing the compact Chevrolet Cruze. While GM builds hatchback Cruzes in Mexico, most Cruze sales are Ohio-built sedans. 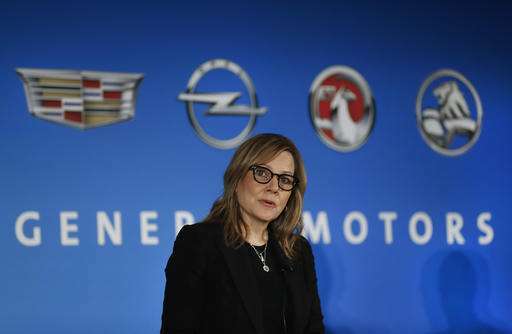 On the eve of the Detroit auto show last week, GM CEO Mary Barra said the company has no plans to change where it produces small cars in light of Trump's threats. Barra said the auto business has long lead times in regard to where it produces vehicles, and decisions are made two to four years ahead. Barra, who is part of a Trump economic advisory group, said it's too early to talk about a possible tariff. She said the company has more in common with Trump's goals on trade and jobs than differences. Sure, just a coincidence it is all happening now that Trump is taking office. :-) Including bringing jobs back here from mexico.